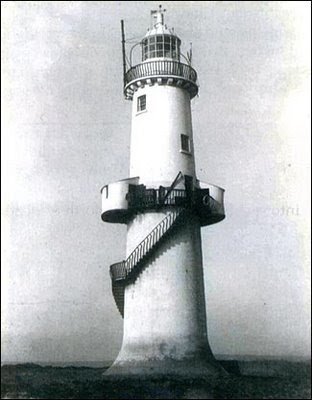 Above is an old picture of the Blackrock Light. The little external rooms at the top of the staircase were added in the 1870s to give extra accommodation but were removed in the 1970s. May Bank Holiday weekend and, a bit poemed out, we decided to take a break from the Strokestown International Poetry Competition, and travel up to Rosses Point in county Sligo. Following the road in to the long drawn out village, we eventually reached the headland where we had three lighthouses in view at the same time. I was sorry I didn't have my camcorder with me as it has a greater zoom than my camera. Therefore these pictures of Blackrock Light (not to be confused with Blackrock Light in Mayo) are a bit far away. 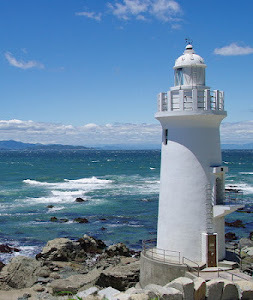 Located on a rocky islet, a light was placed on here in the late 1700s but was washed away in a storm. 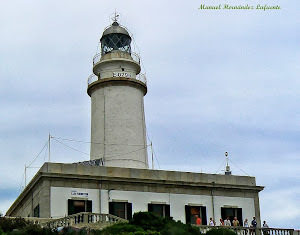 The lighthouse is white with a black band and access is gained by a red spiral staircase which reaches halfway up the outside. 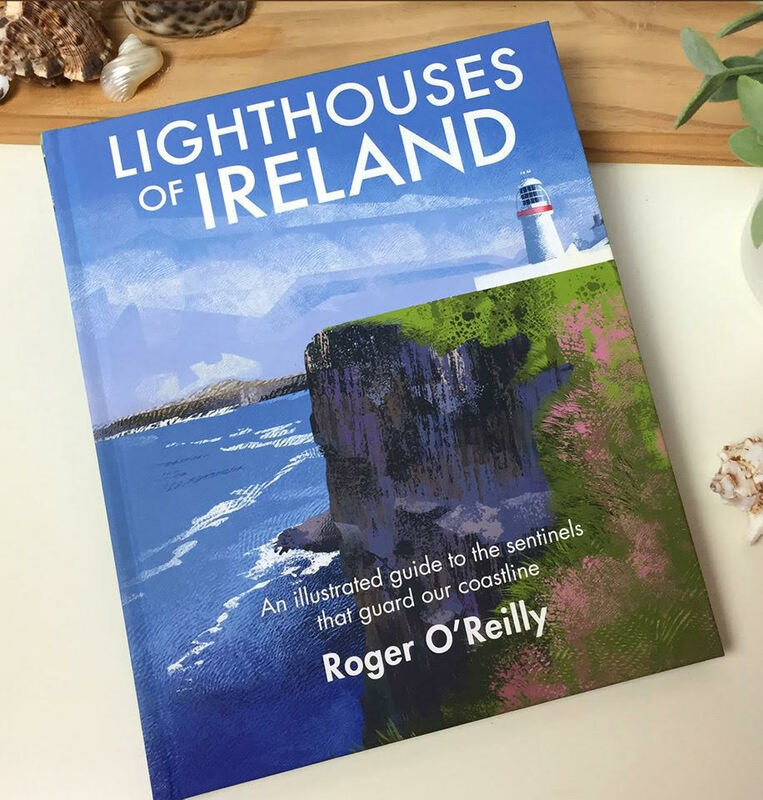 Hi Pete, I'm Intrested if you have any idea is it possible to get a copy of the plans of work done on the lighthouse through the years ? Hmm, not really. 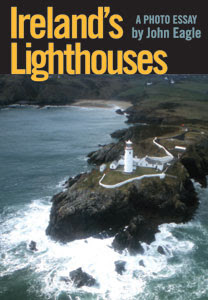 There's a fairly complete description of the history of the lights on the www.cil.ie site (go to Our Lighthouses down the bottom) but they only have current lights under their control. CIL might be the place to ask for any specific information, though I find that sometimes they answer and sometimes they don't!